On a threshold level, many drivers are likely to believe that texting and driving (or distracted driving, in general) is a bad idea. Indeed, they know that accidents are likely to occur due to distracted driving, and they realize that there are dire consequences to be had in an accident. However, they may not heed warnings behind it because they simply don’t believe it would happen. Unfortunately, they have to learn the consequences first hand. Awareness about distracted driving may change with the use of the Reality Rides simulator. The device is a stationary car equipped with virtual reality technology that helps people understand the real dangers of distracted driving. Through the high definition curved television in the windshield, drivers can get a real sense of what they would face in traffic while trying to read or send text messages, talk on the phone or even enter directions into a navigational system. Also, the simulator gives traffic tickets for infractions that drivers would be cited for in real life. After “driving” in the simulators, more than half of those who participated said that they would never text and drive. About a third said that they would think twice before texting and driving. 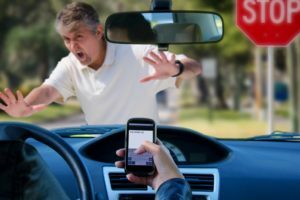 Additionally, 58 percent said that they would not let others drive while distracted and an overwhelming number said that they would inform others about the dangers of distracted driving. But arguably the most impressive statistic was that 92 percent indicated that they would not get in a car with someone who drives distracted. It remains to be seen whether people will actually take these actions.